← Fundraising Q&A: I am being told that we need to take a completely different approach with millennial donors. Do you agree? 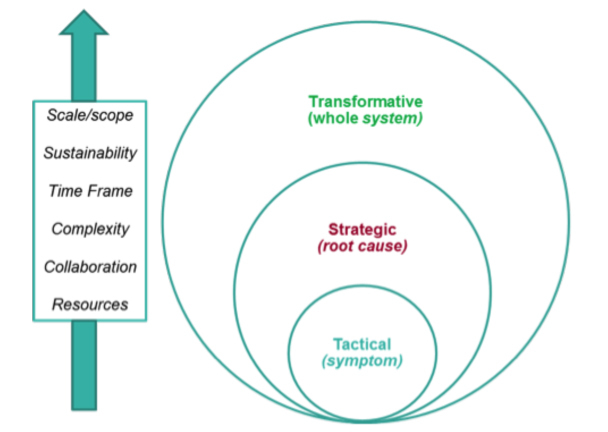 I find it useful to think about philanthropy as a series of concentric circles with increasingly expansive efforts to tackle a social problem: tactical activities treat symptoms of problems while strategic activities address root causes and transformative philanthropy impacts the entire system. The boundaries are fluid and each set of activities is important but generally the time frame, sustainability and scale/scope of impact will increase at each level. 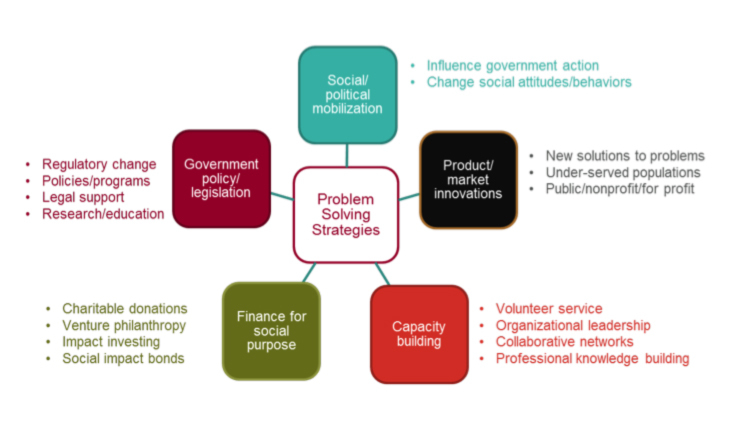 The challenges will increase too – the complexity of issues, the need for collaboration, and the level and kinds of resources required. 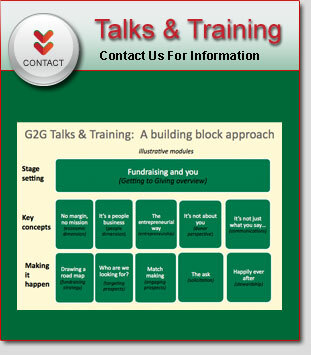 Philanthropy has evolved into an amazing array of ways that you can work as an individual or leverage your personal resources – in an established institution or a start-up organization, and within and across public, private and nonprofit sectors – to solve social problems. The optimal strategy will partly depend on how you frame the problem and what personal resources you can bring to bear including time available, expertise and experience, financial resources, and networks of relationships and influence. Let’s take the environmental sector, as an example, keeping in mind those fuzzy boundaries. At the tactical level, you might volunteer for a neighborhood park clean up, buy a Sierra Club membership or offer your grant writing services to the local Audubon Society. Good for you! At a more strategic level, some people have funded marine reserves, championed the development of urban green spaces, launched venture funds for green transportation, started alternative energy companies… the list goes on and on. Then there are individuals who aim for systemic change by, for example, lobbying for carbon taxes, founding a nonprofit for educating the public about climate change, or serving on national and international bodies – as a staff or board member – such as the Environmental Defense Fund. What does this mean for you, as someone who wants to have an impact? We come back to our philanthropy survey respondent’s advice to dive in… at whatever level and in whatever form you can. Other advice: Start early and be intentional; set aside some time and money and evolve how you use it. 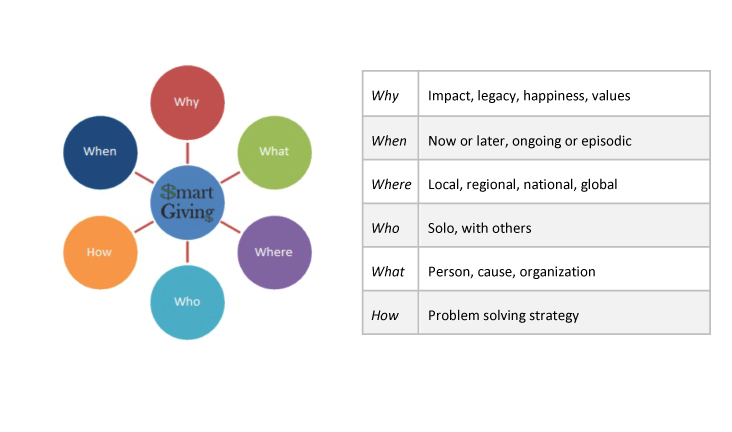 Smart Giving is part of a larger life story that often includes many efforts – overlapping and/or sequential – to make a difference. I believe that most people want to solve a problem but deciding which problem, when and how requires looking externally (problems/opportunities? options/alternatives?) and inwardly (values? priorities? resources?) and making choices. 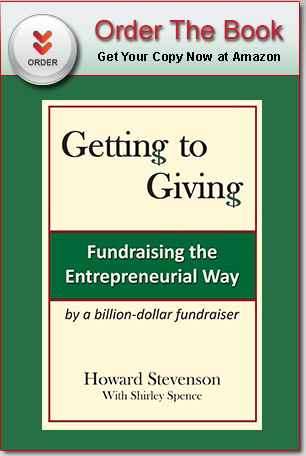 As a philanthropist, what you care about will change, perhaps in a predictable fashion (like getting involved in your child’s school) or perhaps not (like experiencing a cataclysmic event). But one constant, I would attest and many others would agree, is that more often than not it is a wonderful experience. This entry was posted in Fundraising, Smart Giving. Bookmark the permalink.